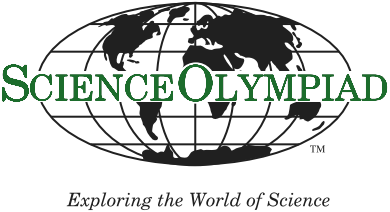 The North Dakota Science Olympiad web site is the official source of information for the State Olympiad Event, including last-minute updates and postings. Coaches and students are to visit this web site for updates and rules clarifications, including immediately prior to a team's departure for the State Olympiad event (State Olympiad Policy). Links below will be activated as soon as this information is available. Please be sure to press your web brower's "Refresh" key to view the latest versions of each web page or linked documents. Coaches: Sign in to your 2019 ND Science Olympiad Account. The ND Science Olympiad State Tournament has been rescheduled for April 27, 2019. We are still waiting for official approvial on some room reservations so check the schedule for changes. There is not a large enough venu to hold opening and closing cerimonies on the 27th so if the weather is nice we will have closing cerimonies outside in Chruchal Field (East side of the A.G. Hill Building). Team numbers are still the same. Registration: 7:30 - 8:00 a.m. at the Memorial Union's Mandan Room. Up the main stairs and to the left. Lunch is on your own: There are various locations in the Memorial Union open for business. The FM Convention and Visitors Bureau has compiled this list of available hotels in fargo. Some event locations may have changed from the previous version. Printable Map of NDSU PDF Format. North Dakota Road Conditions The color map is updated approximately hourly. The North Dakota Science Olympiad Home Page is hosted in public service by North Dakota State University, Fargo, North Dakota, USA. Email: guy.hokanson@ndsu.edu Jeremy Straub, Ph.D.
Email: jeremy.straub@ndsu.edu Anne Denton, Ph.D.